The pulses of percussion can reach into your heartbeat and, further, into your toes. Argentine-born Brit Alejandro Vinao hopes to reach you there, with, he says, “a desire to move, to dance or to foot-tap” in his 2011 two-marimba composition “Book of Grooves” You may have to restrain yourself; you’re at a concert. It features the arx duo, percussionists, pulsing here for just one visit on November 30th. 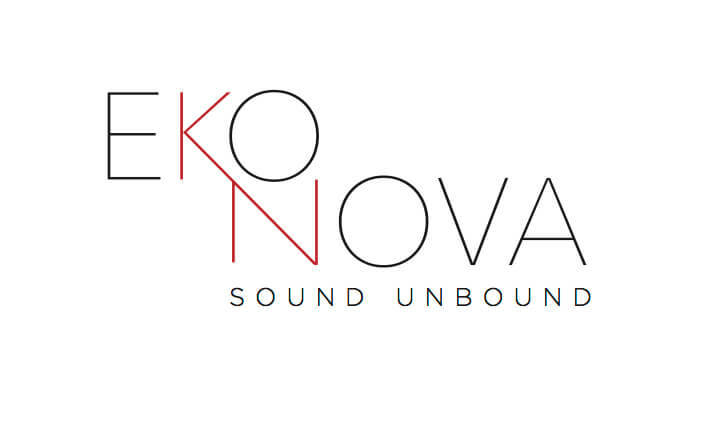 This is the second event in the new Eko Nova series. The pair, Japan-born Mari Yoshinaga and Brooklyn native Garrett Arney, in their late 20s, united musically just three years ago as students at the Yale School of Music. Their collaborative name comes from “arcs” meaning, for them, “new connections and new pathways” in percussion performance. They hope to stimulate public interest by making it clear that they are a link to the currents of current things flowing in such repertoire. Their arrival is part of Eko Nova’s dedication to music of today, reaching out to devotees of many kinds of contemporary art and doing so at Kaneko, famous for ground-breaking. The aim, collaborating with Omaha Chamber Music Society, is to get people excited about a fresh variety of such compositions, reaching beyond the traditional.